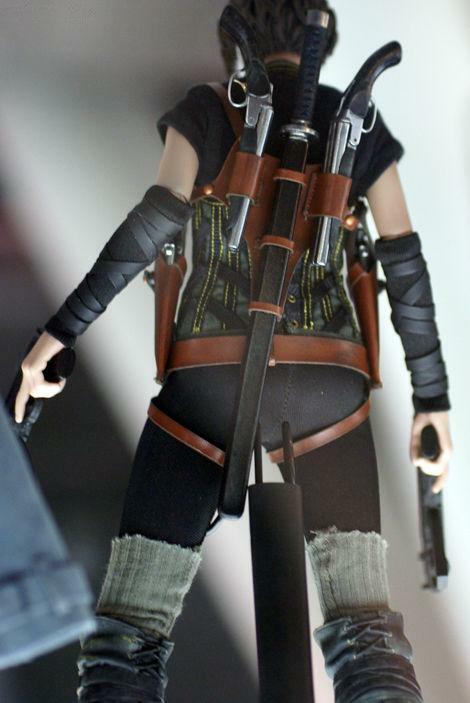 Will Bueche | Blog » HotToys reveals Resident Evil “Alice” figure at trade show today! 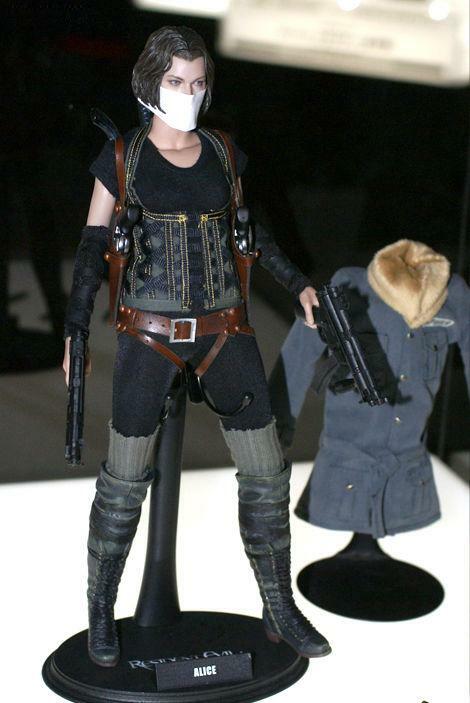 HotToys reveals Resident Evil “Alice” figure at trade show today! 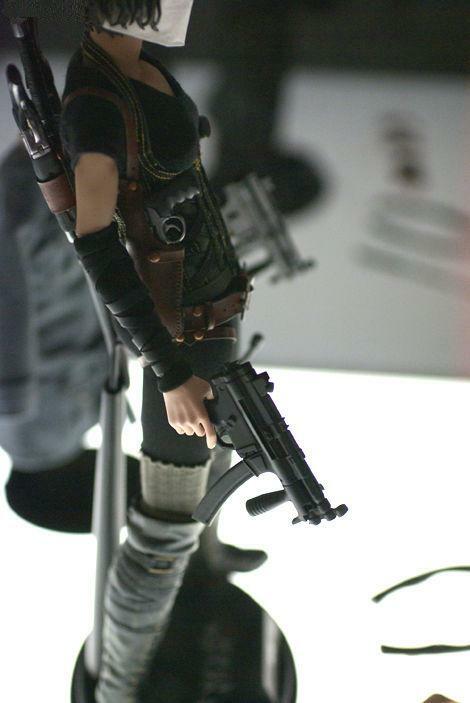 Let’s brighten up HotToy’s 2010-12-27 photo, shall we? 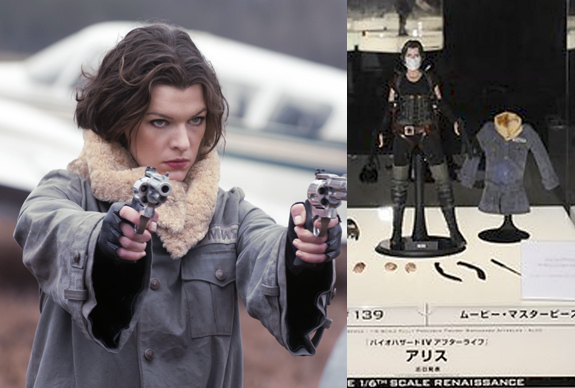 An alternate image from the same trade show reveals that her dusty-blue Russian parka would also be included. Why the mask? 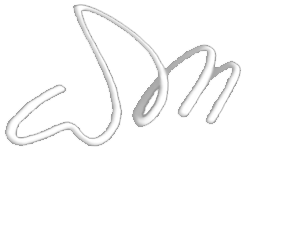 Possibly the mask was just because the likeness hasn’t been signed off on yet. Hopefully the real figure won’t have a mask on. The eyebrows and forehead look just like Milla! 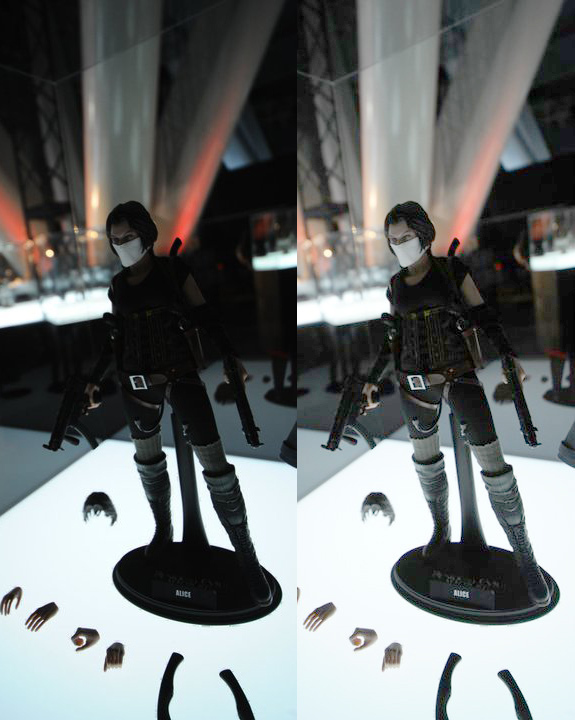 BTW I believe the hairpiece that appears beside the figure is present to indicate that like other high-end figures, you can remove the hair to access a joystick which allows you to position the eyes (to change the direction the eyes are looking in).